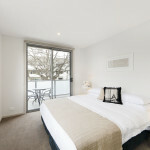 Executive properties are furnished and equipped to 4 and 5 star standards and are located within key areas of Canberra. Inside you will find well furnished modern spaces with reverse cycle air-conditioning, quality appliances, exceptionally well equipped kitchens and free secure undercover parking . There are studio, 1 and 2 bedroom apartments to choose from, ranging in price from $120 – $395 pn. Please scroll down for further information. This property is a 35 sqm Studio unit in Campbell, adjacent to the Campbell Shops. The property features a brand new gorgeous Ikea kitchen with dishwasher, microwave and soft close drawers. You can access the freshly renovated ensuite style bathroom via the newly fitted out walk-in-robe. You will enjoy fresh paint, modern light fittings and new carpet. The property has modern furniture with a great colour scheme, generous storage for a small property and a flat screen television. Click here to view our executive studio. 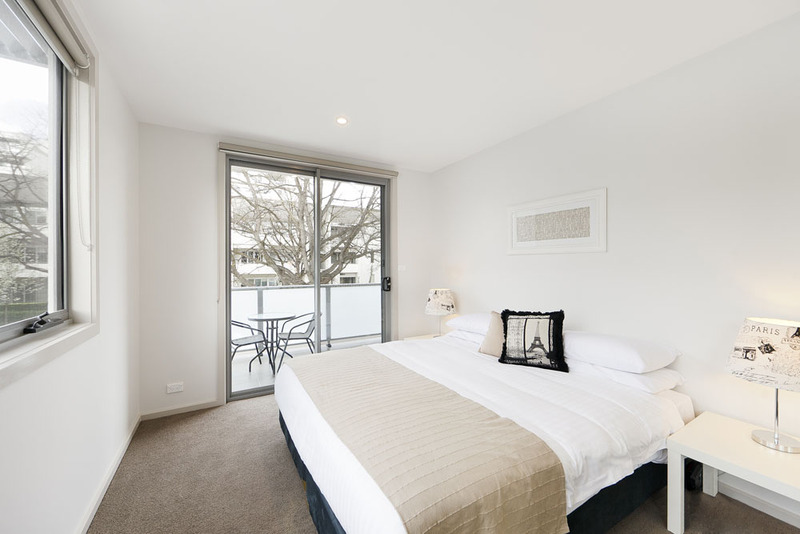 Our 1 bedroom apartments are modern living spaces designed for 1-2 people to live comfortably and entertain guests. Dining rooms have 2-4 seat dining tables with enough crockery, cutlery and cooking equipment to cater to 4-6 people. King 1 bedroom apartments have a king bed that can be split into 2 single beds and are more spacious than queen 1 bedroom apartments. Budget king units also feature a study nook so you can get that all important work or study completed in the privacy of your own home. Internet access is available at all of our properties, either through a wifi connection or wifi dongle that we can rent out to you. Our 1 bedroom apartments and units are located in Griffith, Woden and Braddon. Click here to view our 1 bedroom apartments. 2 bedroom apartments are equipped for 2-4 people to live comfortably. 2 bedroom king apartments have a king bed in each bedroom (both can be split into 2 x single beds), an ensuite bathroom in addition to the main bathroom and a little more living space than a 2 bedroom queen apartment. 2 bedroom queen apartments have a king bed in the main bedroom (can be split to 2 x single beds) and a queen bed in the second bedroom and one main bathroom. All 2 bedroom apartments are equipped with a 4 seat dining table with enough crockery, cutlery and cooking equipment to cater to 6 people. All 2 bedroom properties have a secure undercover car space with a second space available on request. 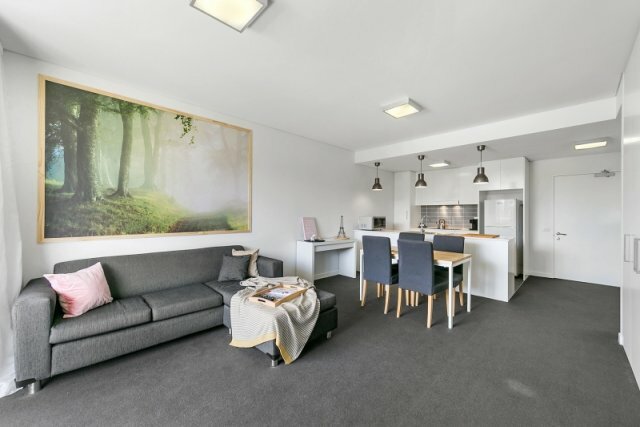 2 Bedroom apartments are located in Braddon and Lyneham. Click here to view pictures of our 2 bedroom apartments.